America was the Promised Land and California the place of golden opportunity, which certainly proved to be true for the son of two immigrants, a Norwegian father and a Swedish mother, when Earl Warren was born 120 years ago on March 19, 1891. While it probably isn’t fair to say that no one gave him anything, it is certainly accurate that he wasn’t given much. Earl Warren was a self-made man who worked on the railroad as a boy in Bakersfield, hot Bakersfield, hot, isolated Bakersfield, at the end of the 19th century. It was evidently a good place to build character and learn the value of hard work, because Earl Warren grew up to be one of the most significant Californians in our history. He went to Bakersfield High School before it was even known as Bakersfield High School. He did well and was smart enough to put himself through what was then a still relatively young University of California, Berkeley. He also graduated from their law school, Boalt Hall, in 1914 and was already a young lawyer when he enlisted in the United States Army during World War I. After the war, Warren was appointed district attorney of Alameda County, a position he managed to win in re-election three times. He soon developed a reputation for going after corruption at all levels, in politics and in business; and in those years developed a reputation as a hard-nosed conservative. In 1938, Earl Warren was elected attorney general of California. His popularity was such that he won the primary not only of his party, but also the competing parties and was elected without any credible opposition. It was during this period that the dark shadow was cast over his reputation. He was responsible for enforcing the order promulgated by President Franklin D. Roosevelt and implemented by Milton Eisenhower, brother of future president and war hero, Dwight Eisenhower, for the interment of the Japanese-Americans, American citizens, at inland camps in California. In 1942, Republican Earl Warren was elected Governor of California. In his re-election in 1946, he duplicated his feat as Attorney General and won the nomination on the Democratic, Republican and Progressive tickets and, in 1950, he became the only person, until the recent election of Jerry Brown, to be elected Governor of California three times. In 1948, Earl Warren was a Vice Presidential candidate on the Republican national team with New York’s Thomas E. Dewey. In what many historians believe to be the most shocking upset in Presidential politics, Harry Truman emerged from a vigorous campaign more popular than he started and defeated Dewey. In 1953, the Chief Justice of the United States, the mostly forgotten Fred Vinson, died suddenly of a heart attack. President Eisenhower, who was impressed with Earl Warren’s Republican credentials and national reputation, appointed Warren Chief Justice of the United States Supreme Court. Eisenhower would later regret his decision. Although he never doubted Earl Warren’s integrity, he was chagrined by the increasingly liberal views that Warren would take. “It was the damn biggest mistake I ever made,” Eisenhower said. 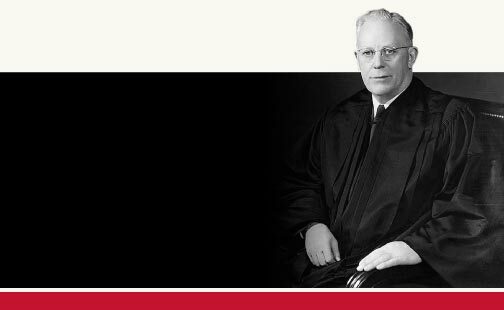 Historians have noted that the Warren Court reflected Earl Warren so completely that he is considered the most influential jurist of the 20th century. It was the Warren Court that ended segregation of public schools in Brown v. Board of Education; allowed one man, one vote in Baker v. Carr; allowed due process in Gideon v. Wainwright, and changed the lives of every person arrested with his decision that they must be told that they have the right to remain silent and the right to an attorney, in the Miranda v. Arizona case. Sadly, Earl Warren is also remembered as the only person the President of the United States believed had the gravitas to lead the investigation into the assassination of President John F. Kennedy. 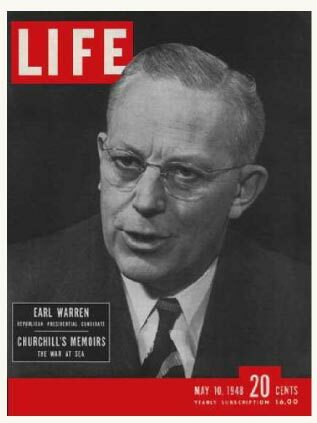 Earl Warren died on July 9, 1974. This California boy who changed the world is buried in Arlington National Cemetery.